We love this vintage lace piece. Perfect for that vampy look! 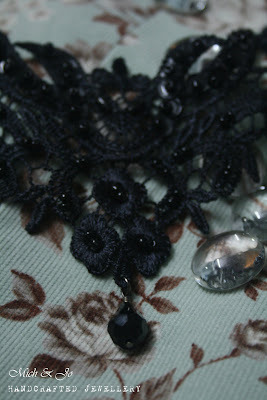 Fine black lace with shiny sequins and a single black drop glass bead. Here's a closer look of the lace.. Length is 14" & the findings are gunmetal colour. Watch out for more vintage lace necklaces! !